Courage to do the right thing is an admirable trait. 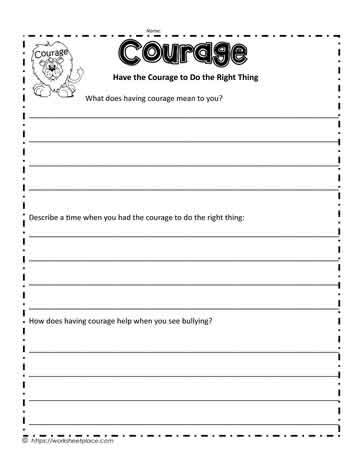 Use these courage worksheets with young learners to help them develop grit. Commit to character worksheets on showing courage.